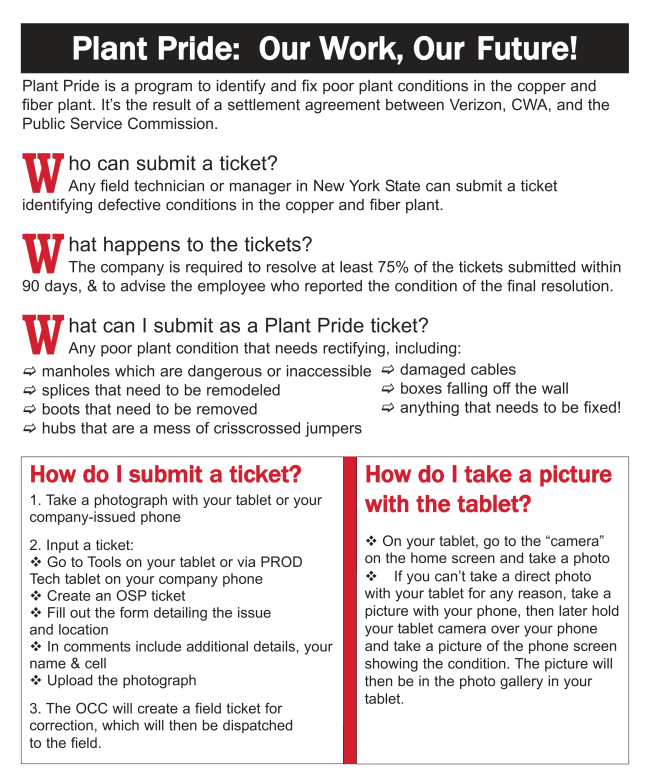 Plant Pride is a program that was created to identify and fix poor working conditions in our fiber and copper plants. 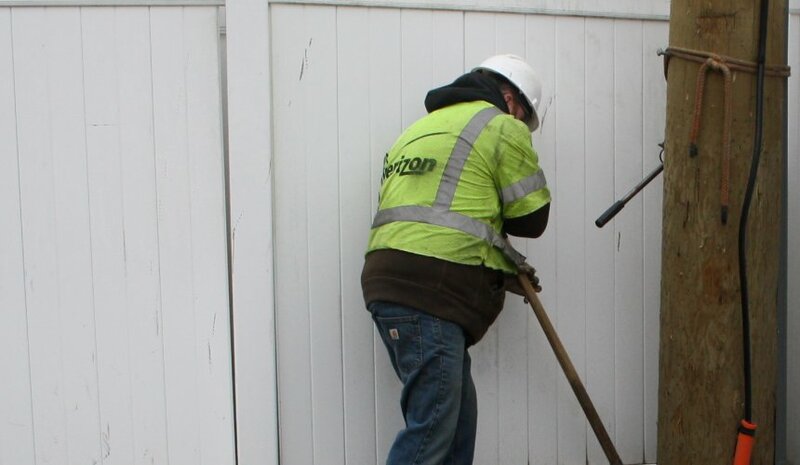 It was established through a joint agreement between the CWA, Verizon and the Public Service Commission. Plant Pride allows you to submit a ticket so that dangerous situations can be alleviated before they hurt a fellow CWA member or someone from the public. Below, I have included the process for submitting a ticket and what issues should be addressed. I urge every CWA 1104 member to familiarize themselves with this process and participate in this important program.